Fireplace and chimney odors can come from a variety of different sources. Fireplace odors usually occur because of a buildup of creosote, grime and soot. Chimney odors may develop as a result of creosote deposits or a dead animal in your chimney. Whether the odor is coming from the fireplace or the chimney, air flow is the reason why you can smell it in your home. As air flows down the chimney and into your home it carries the odors originating in your fireplace or chimney. This is a sign that you may have a negative air pressure issue within your home. This is a typical problem in an airtight, energy efficient house. 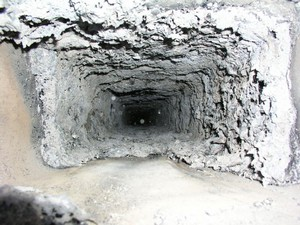 As the air flows down the chimney the odor infiltrates your home. Regular fireplace and chimney cleaning can greatly reduce the unwanted odors. A neighboring structure’s height increase. We understand that a fireplace can be both a source of warmth and a source of comfort at all times throughout the year. However, when you forget to take care of your fireplace and chimney and you do not perform the necessary routine maintenance, you can be faced with severe and expensive home repairs.